Hi everyone! Hope you had a great week. I read a fun book last week and want to share it with you. Knowing how much I loved the book, Tuck Everlasting by Natalie Babbitt, my friend asked if I'd ever read or heard of The Search for Delicious by the same author. I'd never heard of it before, but my own search for delicious came up short. None of the libraries in my county carry it, so my friend graciously loaned me hers. You know you have a true friend when she lends you a library book! Does your lot in life feel unremarkable, devoid of the divine, spiritually insignificant? Has Jesus given you something to do? Something seemingly inconsequential? Something altogether ordinary and well beyond the spotlight of Christian celebrity? How Should Christian Moms Approach Halloween? So, today is Halloween. Christians are certainly divided on the subject of should we celebrate it or not, aren't we? Well, I'm not going to tell you exactly how you should approach Halloween. Because I really don't know. I'm pretty confident, however, that we shouldn't celebrate evil or make light of it either. I think the question with which we wrestle is this: Is participating in anything "Halloween related" wrong? In my opinion, it's just not as black and white as we'd all like for it to be. Halloween, and really any holiday, can get kind of complicated. Am I right? My family recently took a day trip to Flagstaff, Arizona to soak up some gorgeous fall color. Gold dazzled us from ground to sky. Enjoy the video! I'm beyond thrilled to have my hubby guest posting today. I may be the one who has lots of words, but my husband is the one who has a way with words. Note that the disciples didn't call on the omnipotence of their Lord to deliver them from the storm or the omniscience of the Master Teacher to explain the meaning and purpose of it all. No, they didn't call on Him. In the midst of their trial, they called into dispute the character of Christ. They questioned His heart. 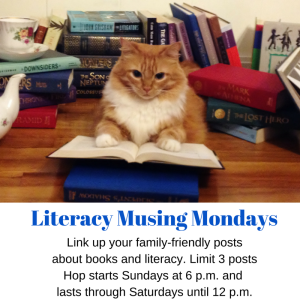 Welcome back to the new and improved Literacy Musing Mondays. Last week, I shared about myself, and this week we're proud to introduce our other new host, Leah. 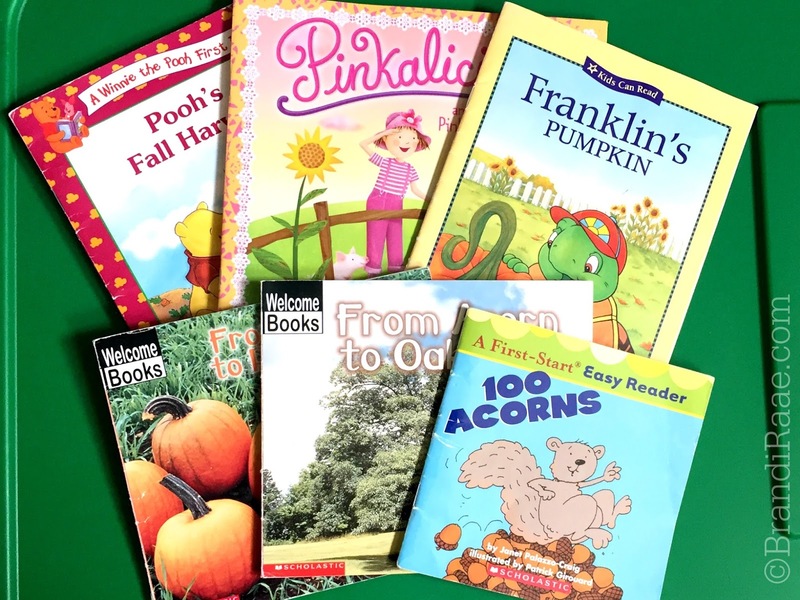 Hi, I'm Leah, a homeschool mom of four children who loves reading and blogging and...did I mention reading? I've been homeschooling for almost fourteen years now, and I'm very close to graduating my oldest daughter! I've been blogging since early in my homeschool days, but my early blog posts were just journals of what was happening in our homeschool- so everybody in the world could see that we built the Great Pyramid with Legos that day. Woohoo! I first heard about The Bible Project during a sermon on Sunday, September 11, 2016. My pastor included an animated short-film to give the congregation a quick overview of the law and the prophets. I learned then that the video was part of The Bible Project and that there was plenty more where that came from. Impressed and intrigued, I knew I wanted to go home and find out more. I've been hooked ever since! So, What is the Bible Project? The Bible Project is a non-profit that uses animated short-films to present Bible stories and complex biblical themes in an engaging, easy-to-understand format. 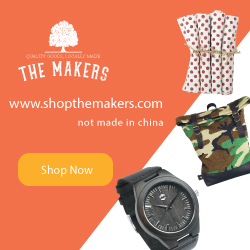 Creators, Tim Mackie (pastor of Door of Hope Church and professor of Bible at Western Seminary) and Jon Collins ( co-founder of communication companies, Epipheo and Sincerely Truman), want to help people understand the Bible as one, continuous story from Genesis to Revelation. Tim and Jon create two types of videos: book videos and theme videos. First of all, they take each book of the Bible, present its unique structure and themes, and show how each book relates to the Bible as a whole. Also, they explore different themes found throughout the Bible and connect them from the beginning to the end of Scripture. I've watched quite a few videos, and I have enjoyed them all. I've skipped around a bit to get a feel for different kinds of content. I'm pretty sure I've seen all of the theme videos, the wisdom series, several in the Read Scripture Old Testament, and Mark from the Gospel series. Here's the first video that captured my attention and prompted me to find out more! You can read more about their videos here. You can watch all of their videos on their YouTube channel. Along with FREE videos, The Bible Project provides FREE materials which you can download from their website. There are over 40 graphic/informational posters that you can download for FREE, and so far, you can download 9 different study guides. If you are looking for a Bible reading plan, The Bible Project provides that, too. These videos have truly added to the depth of my understanding of the Bible. I've been watching these videos off and on during my own personal time, even playing them while I harvest basil seeds or put on makeup. I plan on using The Bible Project in my homeschool for the next school year. Meanwhile, as I continue to watch videos on my own, I will spend time downloading extra resources and planning how we will go about our study. Because my kids and I recently finished our quest to read through the Bible, I may start out with a study on the themes of the Bible. Hi, I’m Brandi, a desert-dwelling homeschool mom who loves to devour fiction and chocolate. I’ve been blogging for over 10 years and have been homeschooling for about 15 years, if you count pre-school. While much of my reality is spent homeschooling and homemaking, I love to add a little whimsy to my life by gardening, decorating, creating, and dreaming up fantastical tales. 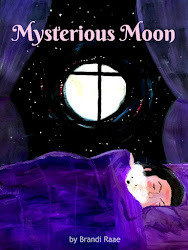 I recently self-published my first children’s book on Amazon and hope to one day spend my time writing novels. On my blog I love to chronicle my family’s life, store my thoughts, share my faith, reminisce days gone by, compile yummy recipes, reveal nifty tips, talk about topics relating to health, and write about all things homeschool. And as with everything in my life, including blogging, I do it all for the glory of my Lord and Savior Jesus Christ! I’m super excited about joining the Literacy Musing Mondays Linkup as a co-host since I LOVE all things literacy related. 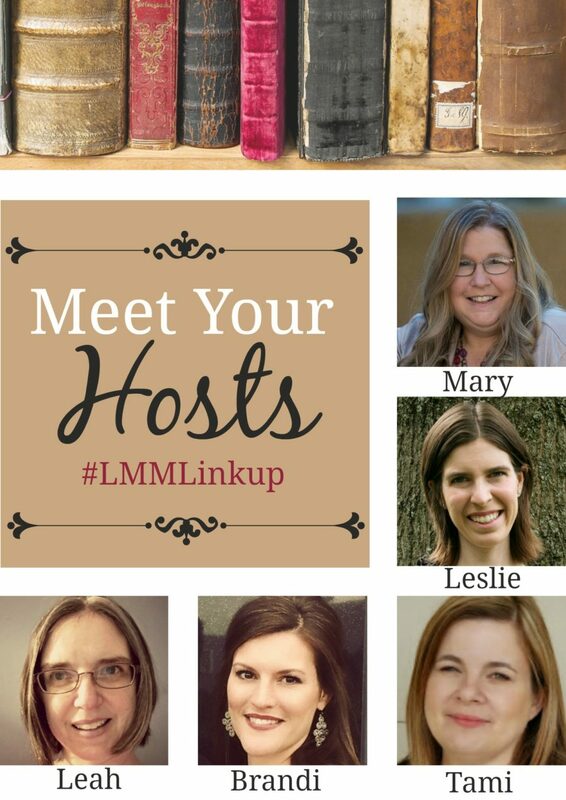 Plus, I’m looking forward to getting to know the other hosts and you, the faithful LMML readers, too. If you'd like to drop by and say hi, you can find me at my new WordPress bloggy home, Brandi Raae: Living Between Whimsy & Reality at www.brandiraae.com. Next week we will introduce our other new host, Leah. Carrie's cute bookmark attracted a lot of readers. Be sure to check it out and download your own copy today. Even though I'm new, I wanted to mention that I've really enjoyed reading Sarah's posts every week. I love how she writes candidly, shares from her heart, and desires to bring women closer to Christ. I especially enjoyed getting to know her better through her interview. We are working on a new graphic which indicate the new times for our hop: beginning Mondays at 9 a.m. You will still have until Saturdays at 12 p.m. now to link up! So come back often. 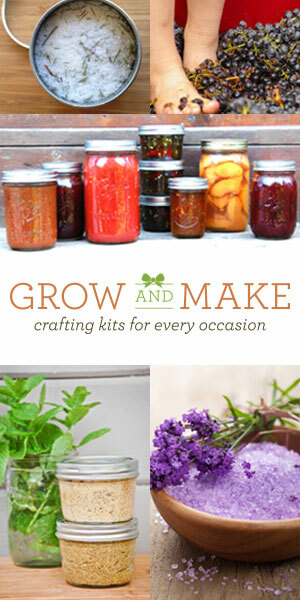 Linking up with great linkups listed on my linkup resource page. I had the privilege of reading the first two books in The Gates of Heaven Series by C. S. Lakin years ago when I reviewed products for The Old Schoolhouse® Magazine. I'm sharing these slightly edited reviews here because I know how difficult it can be to find decent, clean fiction in the fantasy genre. If you're like me and LOVE fantasy fiction, you may want to give this series a try. All Joran wants is “to live a simple, peaceful life, raise a family, work with his hands.” But, his reality is shattered when his wife suddenly disappears in a burst of magic. Joran, the main character, faces many outward obstacles during his quest, but we learn it is the battle within that must be faced and conquered in order for him to truly succeed. This is a point, I believe, with which all of us can identify and apply to our own lives. Ruyah, the wolf, is also a very important character and becomes Joran’s constant encourager and companion—a true friend who shows sacrificial love. As they travel together, the wolf extends much wisdom by quoting Scripture and many famous people such as C.S. Lewis, G.K. Chesterton, T.S. Elliot, William Wordsworth, and more. A discussion of The Wolf of Tebron is included at the end of the book. Lakin explains her motive for writing the book and including literary elements like allegory and metaphor. She also provides fifteen thought-provoking questions designed for book club discussions, high school English classes, and the homeschool environment. As I was reading, I compiled a list of over 50 vocabulary words that I will add to these questions. The novel itself is 246 pages long and because of its profound and comprehensive themes, I will be waiting a couple of years to introduce it to my oldest who is currently in sixth grade. 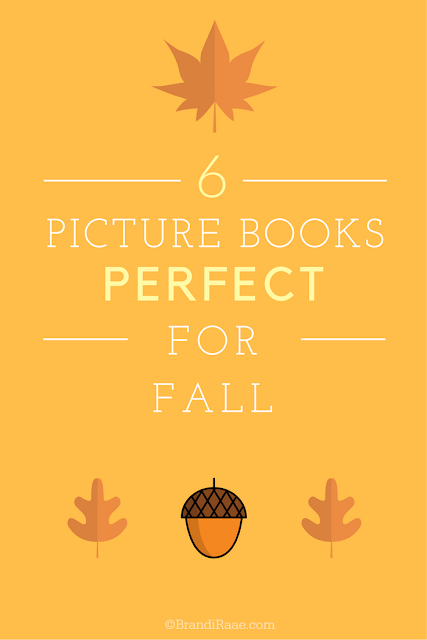 Possibly, it would be a great read-aloud to a younger child who is mature for his/her age. Parents, though, may need to explain definitions of unfamiliar words and meanings of symbolic elements. I really enjoyed reading The Wolf of Tebron. I recommend it to teens and adults who love a good, allegorical fairytale. For in-depth study, it would be great reading material for a high school English class. The Map Across Time is C.S. Lakin’s second novel in The Gates of Heaven series. It's an allegorical fantasy series in which various characters must endure trial and hardship in order to prevent evil from spreading throughout the kingdom of Sherbourne. In The Map Across Time, a young, slightly handicapped prince sets out on a quest to find a rare and magical firebird in order to rescue his beautiful twin sister from a forced marriage and to hopefully win his father’s love and acceptance. The book opens with 10-year-old twins, prince Adin and princess Aletha. They hover over their dying mother as she breathes her last words. It isn’t until many years later that the twins realize a great and terrible evil has been silently and slowly growing right under their very noses—an evil that may have played a role in their mother’s death. With the kingdom in jeopardy and their father going mad, it is up to the Adin and Aletha to travel across time to discover the remedy for a curse which threatens to overtake their land. Though independent of its prequel, The Wolf of Tebron, it shares many similarities. Scripture is artfully sprinkled throughout and quoted or paraphrased by several characters. The exact locations are different in each book, but the settings take place in the same overall region and time period. While most characters are unique, one in particular reveals a connection between the two books linking his name with a previous village. I didn’t mind that the second novel wasn’t a continuation of the first. The subtle ties between The Wolf of Tebron and The Map Across Time make this imaginary land believable. As a lover and avid reader of fairy tales, it’s been nice being able to read a series specifically written for an older crowd. I admit that I find myself all too often in the juvenile fiction section of the library with a pile of books to check out for myself—not my kids! The Map Across Time includes all of the elements you’d expect in children’s fantasy—magic, symbolism, metaphor, sacrificial love, and good versus evil—but the main characters experience life’s trials and triumphs as adults. The Map Across Time is 428 pages long. It includes a glossary of the Law’Az—an ancient language, a discussion of the novel, and a scripture reference page. It’s divided into four parts: Prophecy, The Gates of Heaven, The Destroyer, and The Deliverer. I don’t plan on giving up fairy tales anytime soon since they seem to mirror my reality, encouraging me to be all that I can be in my own world! I recommend The Wolf of Tebron and The Map Across Time to all who wish to keep the magic of fairy tales alive long after childhood. Click here if you'd like to know more about the author, C. S. Lakin. 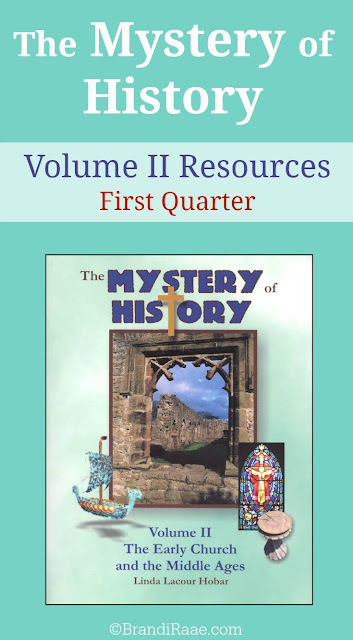 My 6th grader and 9th grader are both reading The Mystery of History Volume II this year. I absolutely love The Mystery of History curriculum and am trying to add in more extra curricular resources this time around since these two are older now. In this particular book in the series, there are only 28 weeks of scheduled lessons, so that means we have 2 weeks per quarter to focus on extras. This month wins the award for being the most stressful, emotional, and overwhelming! I began September with a website migration from Blogger to WordPress, and everything pretty much went downhill from there. Nothing like technology to make me feel no smarter than a rotten tree stump. Ugh. There's a reason someone came up with the saying, "You can't teach an old dog new tricks." Well, through more tears than I care to admit and one too many teeth-gnashing episodes, this old dog is trying really hard to learn new tricks. And, I'm making sure to give myself plenty of rewards in the form of CHOCOLATE. Lots of chocolate. Creating garden art is super easy if you have some interesting trinkets lying around your house. As long your treasured trinkets can withstand exposure to outdoor elements and you are willing to take a chance that something unpleasant could possibly happen to them, it can be a fun and whimsical way to enjoy special items that would otherwise remain out of sight and possibly buried beneath all those odds and ends in your junk drawer.